February 1, 2018  Smartphone game apps "help us survive the sad, difficult, demoralizing reality of politics," says a Catalan illustrator who helped create a version of Donkey Kong making fun of Catalonia's crisis. January 22, 2018  Spain had rescinded its European arrest warrant when it became clear Belgian authorities would not cooperate. As a court considered a new warrant, Carles Puigdemont was proposed as Catalonia's leader. January 10, 2018  Fugitive former leader Carles Puigdemont says he'd likely govern from abroad if he's re-elected. He says he would do so remotely by a video link; a stand-in could read his speeches in parliament. 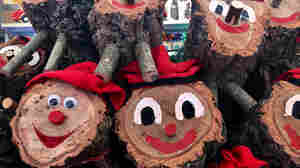 December 22, 2017  Catalan holiday tradition involves a log that's fed scraps of food for several weeks leading up to Christmas. Then, it's beaten with a stick and implored to poop out a Spanish nougat called turrón. December 21, 2017  Catalonia declared independence in October, only to see Madrid fire its leaders and strip their power. Tensions show no sign of fading away, with pro-secessionist groups once again in control. 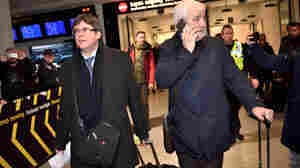 December 5, 2017  Carles Puigdemont and four other former Catalan ministers have been fighting extradition from Belgium. But national warrants remain, meaning the five will face detention if they return to Spain. December 4, 2017  Spanish authorities took the politicians into custody after Catalonia, a formerly semiautonomous region, declared independence from Spain. 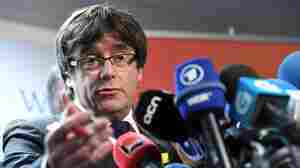 Catalan's former president remains in exile in Belgium. 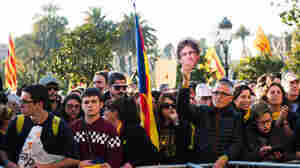 November 8, 2017  In Barcelona and other cities, protesters demanded Madrid release eight lawmakers and respect the regional decision to secede. Meanwhile, in Madrid, Spain's Constitutional Court annulled the decision. November 5, 2017  The former leader of Catalonia, Carles Puigdemont, turned himself in on Sunday, along with four ex-ministers. 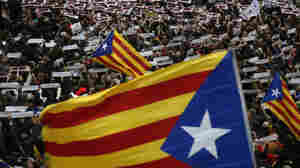 A Belgian judge will decide whether to extradite them to Spain. November 3, 2017  Carles Puigdemont, the separatist leader of Catalonia, is in exile in Belgium after his government declared independence from Madrid. 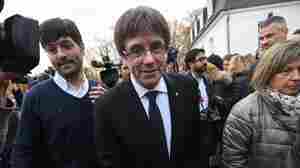 November 2, 2017  Carles Puigdemont, who fled to Belgium with several separatist politicians, says he won't return to face "a political trial." 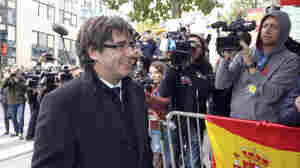 Still, some other deposed Catalan leaders did arrive at court Thursday. 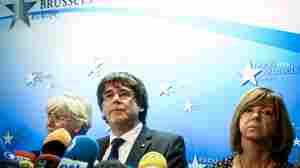 October 31, 2017  Catalonia's ousted leader, Carles Puigdemont, said Tuesday that he and several ministers left "to avoid the threats." 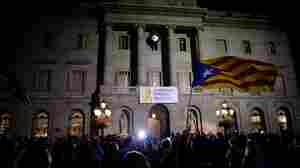 Hours later, a Spanish judge summoned them for interrogation in a sedition probe. October 30, 2017  Police escorted some members of the Catalan government out of their offices, as the ongoing crisis over Catalonia's independence claim continues to create uncertainty. October 27, 2017  Catalan lawmakers have voted to establish an independent republic. 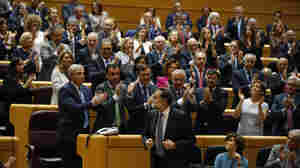 Meanwhile, the Spanish Senate has given Spain's prime minister the authority to institute direct rule of the semi-autonomous region.